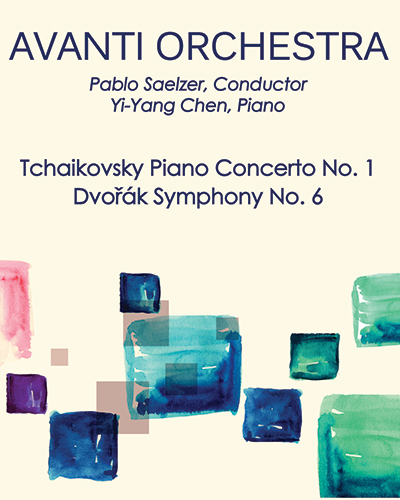 Avanti Orchestra and Conductor Pablo Saelzer with Yi-Yang, Chen, piano, 2017 Washington International Competition winner, perform Tchaikovsky Piano Concerto No. 1. Also on program - Dvorak Symphony No. 6.